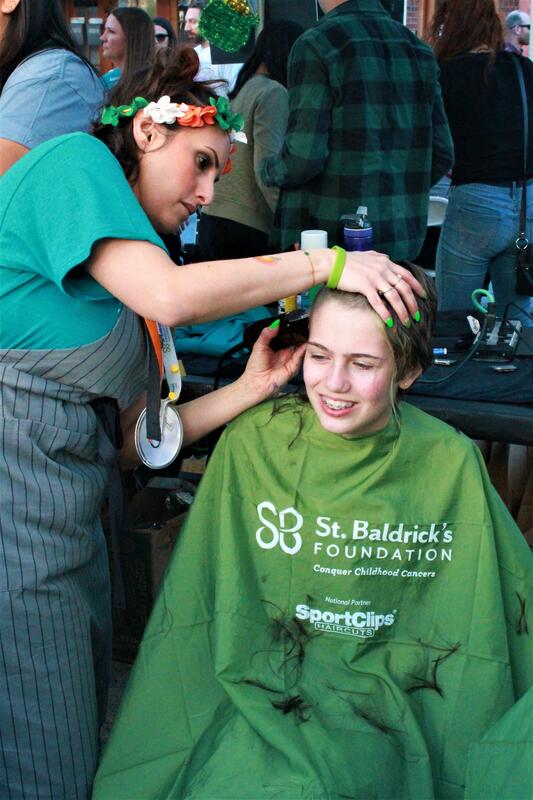 More than 15 Monrovia Unified School District students are “rocking the bald” look after the fourth annual Old Town Monrovia FuzzFest on March 15, when they helped raise more than $25,000 for childhood cancer research through the St. Baldrick’s Foundation. Nine MUSD employees also "braved the shave" in support of children who lose their hair during cancer treatment. Students from Santa Fe Computer Science Magnet School, Monrovia High School, Clifton Middle School, and Monroe and Mayflower Elementary schools raised money. Mayflower fourth-graders Robert Staples and Roxy Wilkins smiled as their heads were shaved, generating more than $200 and $700, respectively, for the cause. "I feel bad for the children who don't have hair, and I want them to be treated the same way we are," Wilkins said. Mayflower Elementary and Monrovia High School claimed two of the top three fundraising spots, raising more than $8,000 collectively. In total, this year's FuzzFest raised over $25,000. Over the last few years, Monrovia has raised more than $95,000 toward research into cures for childhood cancer. "We are proud of our Monrovia Unified students for showing that they are productive members and leaders of our community," Superintendent Katherine Thorossian said. "Thank you to our staff who helped with creating teams at our school sites and showing their commitment to our community, as well." 3-15-19_MUSD_FuzzFest 1: Clifton Middle School eighth-grader Erin Byrnes raised more than $150 for the St. Baldrick's Foundation during the Old Town Monrovia FuzzFest on March 15.